Have you ever felt the uncertainty of being stranded on the side of the highway? Don’t worry, you’re not alone. Ben and Nino Auto Repair is here when you need us. We have an entire fleet of towing trucks that are standing by to help drivers with vehicles that have broken down. We are dedicated to providing you with a positive towing experience combined with affordable rates and skilled towing technicians. Our roadside assistance is available 24 hours a day, seven days a week. No matter when you need your car towed, you can count on Ben and Nino to get your auto off the side of the road and to your preferred destination. Our entire team of drivers is standing by night and day to come to your aid when your car breaks down. Simply gives us a call and we’ll send a truck immediately. You can count on us to help you round the clock! 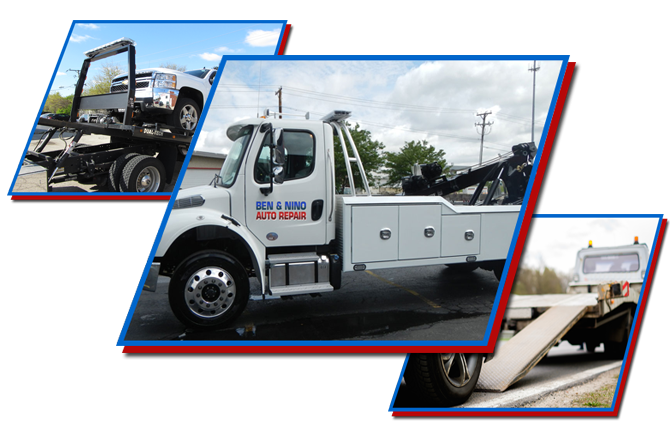 If you need fast, dependable towing service in the Park Slope Brooklyn area, then contact Ben and Nino Auto Repair at (718) 339-8500 or message us at benninoauto@aol.com. We’re available 24 hours a day, 7 days a week!